The show uses the fantastic Nemix PA Hire and Music Production for live sound and recording. Dolly Parton is a unique performer and one of the greatest songwriters of her generation. After five decades in the business she maintains her position as an iconic vocalist, composer, actress and business inspiration. Her recent critically acclaimed back to roots Bluegrass albums have shown that her music is still finding new audiences all over the world. 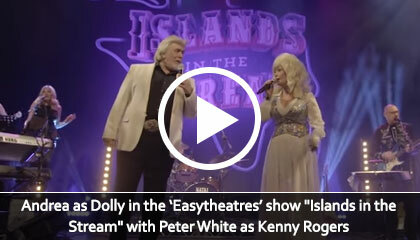 Since 2015 Andrea has been starring as Dolly in the 'Entertainers' show "Islands in the Stream" with Peter White as Kenny Rogers. This showreel was filmed in front of 1400+ people at The King's Theatre, Glasgow in January 2017. This Country and Western tribute act is paying homage to Dolly Parton and all the fantastic music she has written and performed over the years. This new theatre tribute show features an all live, 6 piece backing band playing accurate versions of Dolly's most celebrated material. "There is only one Dolly Parton - she has been such an inspiration to me over the years, I don't think I can put it into words. We want to pay a respectful tribute to her with our new show. We wouldn't be doing this if we didn't think we could do the songs justice. 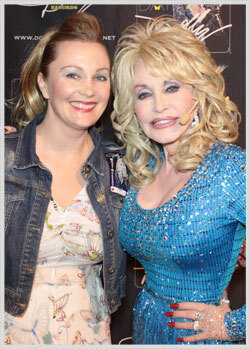 I'm so pleased to be involved in this project, as I love Dolly and I love these songs". Follow this link to see Andrea get a standing ovation after singing "I Will Always Love You"
"To be honest, when it comes to tribute acts we tend to stand back and not say much. 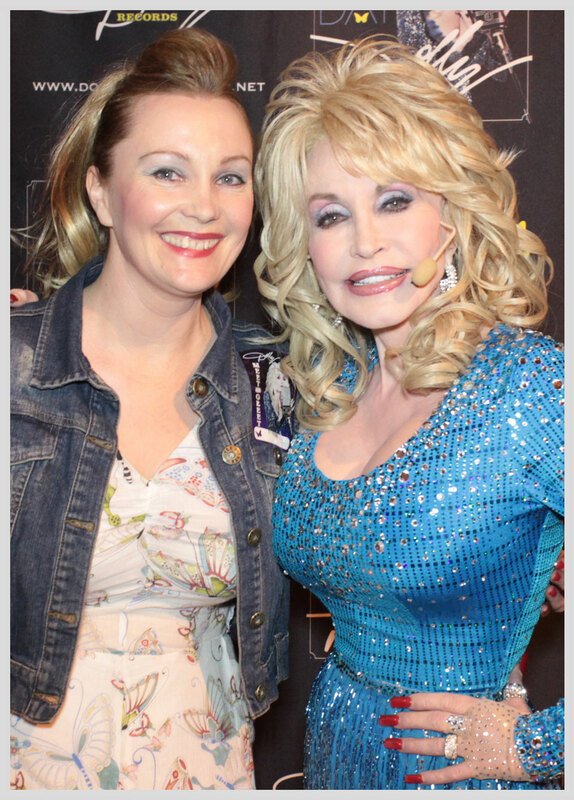 But you all need to see this amazing act"
"When I heard Andrea sing "Islands in the Stream" it could have been Dolly herself..."
"I have seen Dolly here in the UK and at Dollywood, many, many times. It must be 200 appearances in total. I first went to Dollywood in 1991 and I've been back every year since. When I saw Andrea for the first time I was amazed. Honestly, when she comes on stage she is Dolly, not just the way she sings, but the way she jokes and talks as well. I have been to two shows and and keep looking at her schedule to decide where to see her next. Her own album "Stormy's Daughter" is also wonderful." 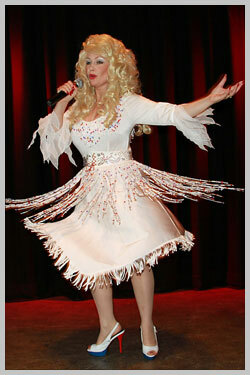 "Andrea's tribute performance as Dolly is very authentic. I'm sure the great lady herself would approve. To be honest, I forgot at times that I wasn't watching the real Dolly. Andrea is brilliant." "One of the best live shows we have had recently at the Pavilion Theatre Glasgow, to call this a tribute show would be an injustice, it is much more than that, shut your eyes and it was Dolly! The four piece band sounded more like eight. And nice people to work with.....See you back next year."